My daughters Lindsay and Kendall were amazing to watch as they switched back and forth between planning their 11th birthday party and planning the, “Express Yourself ” celebration to honor Jordan for what would be his 21st birthday. They talked one moment of the elaborate sparkly cake they wanted for their sleepover and then the next asked if we could have mint chocolate chip ice cream and Oma’s pound cake at Jordan’s celebration. They wanted all of his favorite foods, songs, and people to be represented. Their energy and enthusiasm was awe-inspiring. I tried to keep up but sometimes as they reminisced about Jordan and the things he loved I looked away. I started to wonder why I decided to have with this event. Getting through Jordan’s birthday on 8.9.10 had been filled with laments. 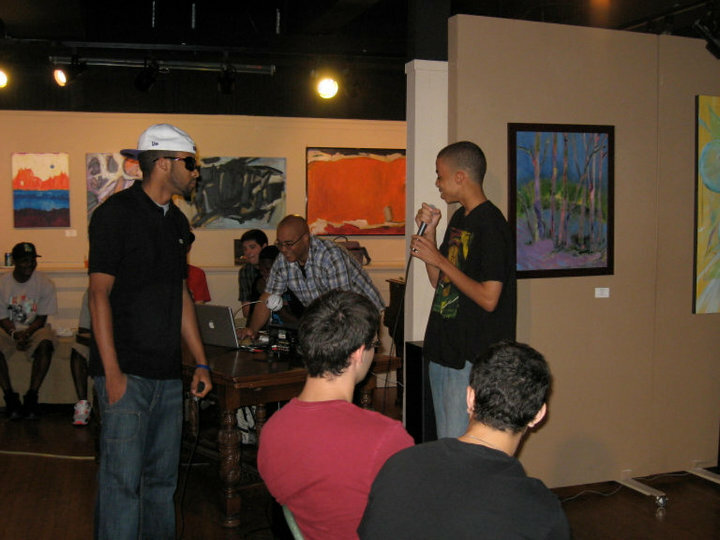 The “Express Yourself” event was five days after his birthday. How was I going to make it to that day without being engulfed in sorrow? The only purpose reminiscing about Jordan seemed to serve for me was that it made me want what I couldn’t have. I wanted Jordan back, so he could tell us too much fuss was being made about his birthday. I wanted to watch him turn 21 and go out with his dad for a beer. “How did we get here?” was ringing in my head. Two weeks before Jordan’s celebration, I called my sister and told her I was going to cancel it. I felt more sad and apprehensive than any desire to be festive. I felt more like I was planning a memorial service. I couldn’t put my family or myself through that pain again. My sister Julie was the only one I let know of my plan to cancel the event. After I spoke with Julie, I wondered why this year it seemed harder than last to have a celebration of Jordan’s life. As I went to shower I realized the difference between this year and last, my friends. Last year my friends sat around my kitchen table asking me what I wanted the celebration to include, and then they handled the details. They told me I was doing enough by being there. I realized why planning “Express Yourself” seemed so hard. Unlike last year’s celebration of Jordan on his birthday, this year I hadn’t let any of my friends in on the planning or the ambivalent feelings I was having. I’d put my own measure on time and decided that I should be able to plan this year on my own. 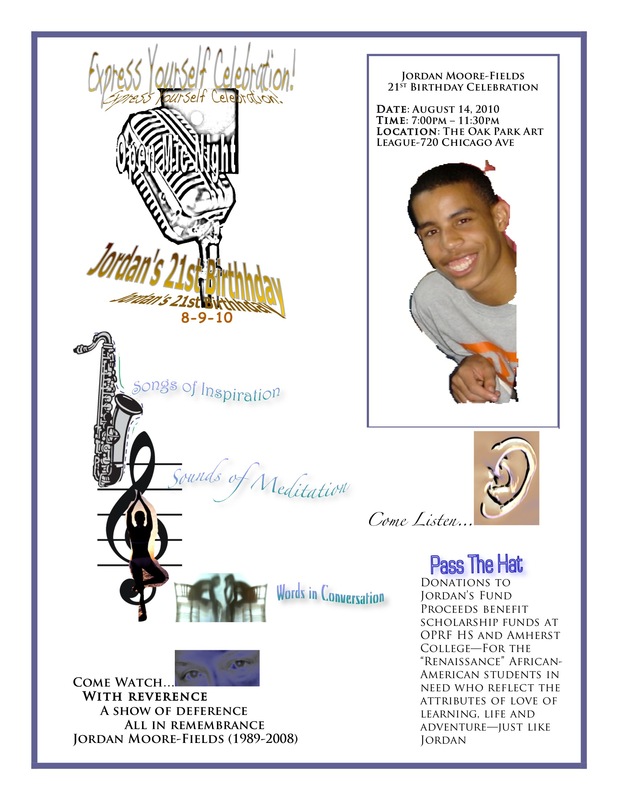 Because it has been almost 2 years since Jordan died I decided that I should be able to handle planning the event. I knew my friends were busy with their own lives and I didn’t want them to feel burdened by my grief. I didn’t even ask my sister for help until late in the planning stages. The word “should,” I’d broken my own rule about grieving. There are no “shoulds.” There are no rules. Grief and mourning don’t follow any linear path to some final point of acceptance and healing. Every day is different. As we sat and talked I told them how I’d considered cancelling the “Express Yourself” event. Amy gently reminded me of why I wanted to have the celebration. She said, “It is a lovely idea to honor Jordan’s memory by being with friends who love your family and who loved Jordan. Don’t over think it. It will be what it will be.” She and Jeanne went on to tell me that if at any point I got overwhelmed then I could go home, even if I only stayed for 5 minutes. Once I accepted help and expressed my apprehension and confusion, I was met with such generous spirits. I watched as my apprehension turned to excitement. Amy and Jeanne deemed themselves the food committee and told me they’d have everything ready the night of the celebration. Julie kept in touch with Jordan’s friends and they planned the performances that would occur. I put myself in charge of tablecloths, candles, and of reminding myself when I felt down that celebrating and honoring Jordan was a source of energy and light. I held on to those feelings and looked forward to an evening spent with friends, many of whom I hadn’t congregated with since the memorial service. On August 14th, friends and family gathered at the “Express Yourself” event. We looked at pictures of Jordan where we couldn’t help but smile. The spread of food was enough to feed an army and included cupcakes lovingly made by Lindsay and Kendall. The music playing in the background was from Jordan’s IPod. Throughout the evening people signed the “Express Yourself” guestbook and made donations to “Jordan’s Fund.” The evening of performances started with listening to “Jordan’s Rap” which I cry every time I hear. Hearing his deep, beautiful voice I imagine what wonderful things he would have done in this world. Julie read a poem written by Lindsay, which talked about the shade in her heart since Jordan’s smile is gone. Merrick and Jordan’s friends performed hip-hop and jazz music. I listened to the words of Jordan’s sister and watched Jordan’s brother captivate the room and I knew Jordan was proud. Julie sang accompanied on saxophone by Jordan’s friend Lucas, “Look to the Mountain,” a beautiful song she and her husband wrote over 20 years ago upon hearing of the death of one of our dear high school friends David Saidel. She talked of the irony in singing again a song about a wondrous life that ended too soon. Later in the evening, Lucas with his brother Nick on clarinet and friend Jack on bass played, \”All Blue\”“a selection from Miles Davis’s, “Kind of Blue” album. Lucas introduced the piece by saying that it always reminded him of Jordan and him driving around together. He said that Jordan was his only friend that he could listen to jazz with, and they both loved Miles Davis. I took a turn as well, reading in a shaky voice “To Jordan on His 21st Birthday.” It was a good and necessary thing to socialize, laugh and cry with those who love my family and I. All those in attendance had their own sweet, memories of Jordan, which they so eloquently conveyed. 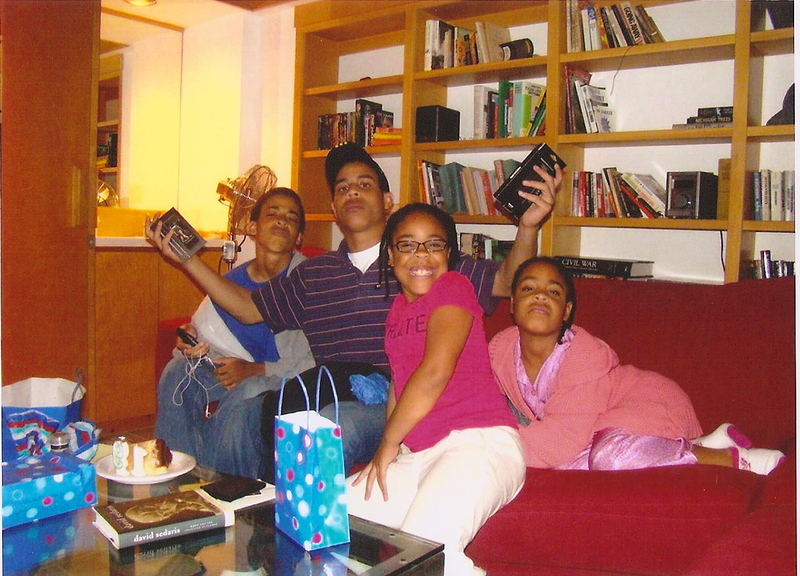 I left that evening feeling grateful to be a proud, humbled, still hopeful mother of four. 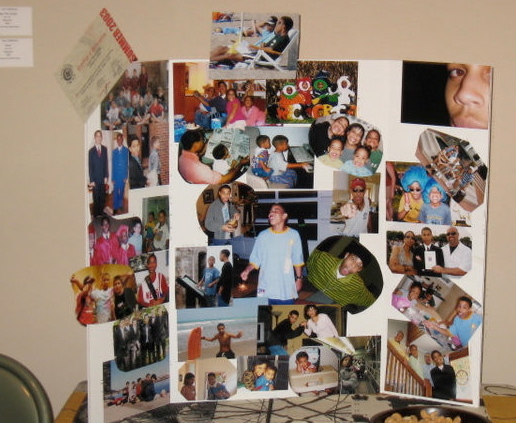 Collage I made of pictures of Jordan that make me smile. The center picture of Jordan holding the sparkler and singing is my favorite. I’m planning two parties right now, a sleepover for my daughters and a gathering for family and friends to honor my son Jordan. The paradox is not lost on me. My twin daughters’ birthday is exactly a week before Jordan’s birthday. My girls will turn 11 on August 2nd. Jordan would be 21 on August 9th. Sometimes I have to shake my head to clear my thoughts enough to do such parallel planning. I want my daughters birthday to be special and silly and fun just as 11-year old girls are. I’m putting extra care into their party because this year their attention has been more focused on their brother’s birthday rather than their own. My daughter Lindsay was the first to ask about Jordan’s birthday. “Are we having a party again this year for Jordan’s birthday?” The thought had been running through my mind for weeks, but I wasn’t sure if I had the emotional energy to make it happen. Watching my family as August 9th approaches I realize we are all feeling Jordan’s absence even stronger than usual. We need to have a party for Jordan to soothe our hearts and make the equivalent of a shouting of his name from the rooftop. 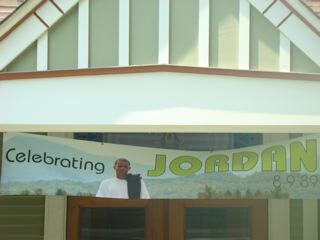 We need the world to know, “Jordan was here.” 08-09-10 is the birthday Jordan couldn’t wait to celebrate. Not just because of the freedom and status that being 21 brought but also because of the magical flow of numbers: 8,9,10. This flow of numbers as magical as his birth date, 8-9-89. I made my way to my bedroom, quietly closed the door and lay on my bed and sobbed. After a few minutes there was a knock at the door and my sister Julie peeked her head in. Seeing my face she simply asked, “Is it okay if I stay in here with you?” I nodded yes and she lay down beside me and touched my shoulder. I cried and wailed and called Jordan’s name and she cried with me. I thought back to Jordan’s first birthday and the party we held. The party Julie and I planned together. Julie and I joked back then that we could go into the party planning business. It is now weeks from Jordan’s birthday. Twenty years later Julie and I are planning a party for Jordan again. Jordan’s 17- year old brother has repeatedly said to me, “I want it to be huge.” He misses his brother and best friend so much and needs to see the love and longing for Jordan reflected back to us so we don’t feel so alone in missing and honoring him. As August approaches my daughters’ excitement for their birthday is rising. The night of their party my husband and I will listen to the karaoke singing, glee filled laughter and whispering that sleepovers bring. We’ll hand out goodie bags as the guests leave and look at our daughters for signs of hazy contentment that comes from sleep-deprived fun. Then, on August 14th we’ll have an “Open Mic Night,” as suggested by Lindsay. Friends and family will gather to express themselves through poetry, song, dance, storytelling, however they see fit. We’ll pass the hat for “Jordan’s fund” and provide scholarships for college students. Great effort is going into both parties. Generosity and love is bestowed upon my children.